Wines from Spain, Ribera del Júcar, Bodegas Illana. We elaborate wines from Spain, in the region of Cuenca, in the heart of the Ribera del Júcar, Castilla-La Mancha. We have always been very faithful to our origins and we are the fourth generation of vine growers; our passion are the grapes and high quality wines. For this reason, agriculture (and more particularly viticulture) is our way of life. It is the year 1626 when the king of Spain Felipe IV gave the Finca Buenavista Estate to our family. It lays at 740 meters near the town of Pozoamargo, in the province of Cuenca. Javier and his wife Carolina run the day-to-day operations of the cellar and winery. While Javier is involved with the vineyards, and the other crops of the estate, Carolina is responsible for carrying out the elaborations of wine. Javier & Carolina met during their last wine class at University. Javier and his 2 brothers continue their family’s legacy. 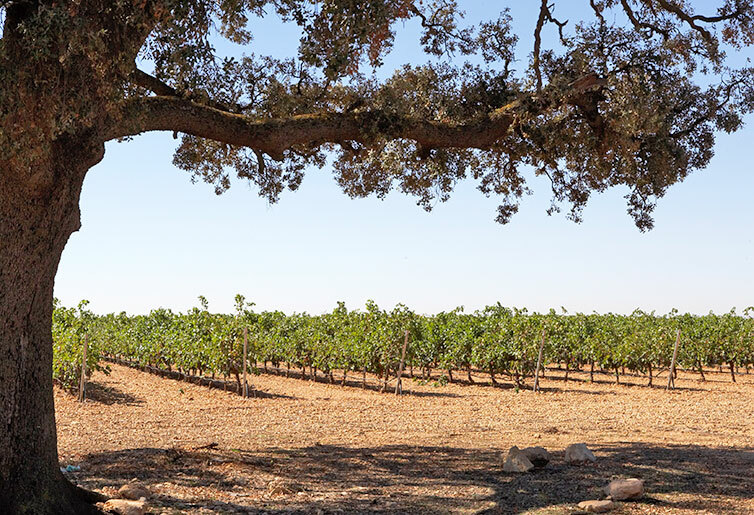 The entire Illana family continues to oversee the land, both to take painstaking steps to cultivate it and to maintain its producing ability. At an altitude of 740 meters, the grapes grown here benefit from the higher altitude – and it certainly shows in their wine. An old dove-loft has been part of the estate for centuries, and its strong presence became so important for us that we decided it would be part of our logo and image.